WiWo visti with presidium member Prof. Miriam Meckel | Harvard GAC e.V. 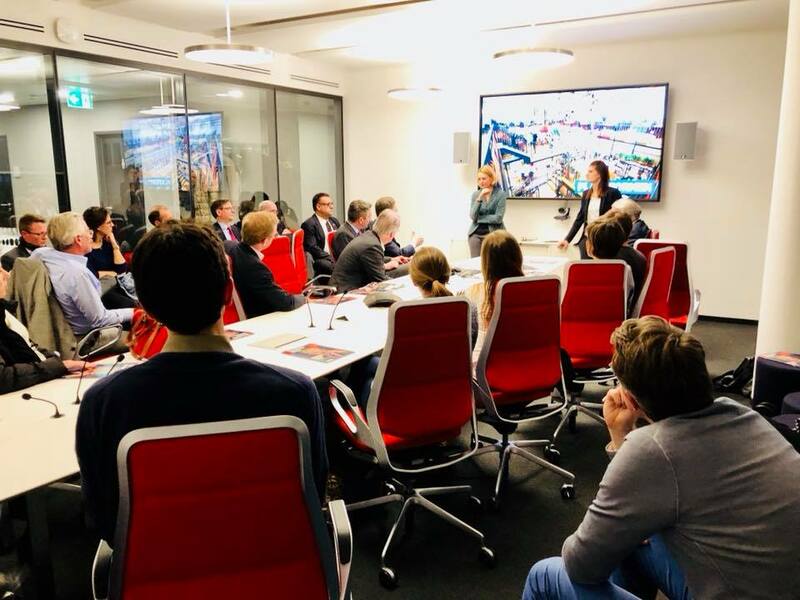 At one of our recent regional Council events, we met with Prof. Miriam Meckel, publisher of the WirtschaftsWoche and active Council Presidium member, and Léa Steinacker, Chief Innovation Officer at WiWo and former GAC Chair. The event was hosted together with the McCloy-Alumni and Harvard Alumni Club members. After a short tour through WiWo’s brand-new office in Düsseldorf, we discussed the status quo of digitalization in Germany, the new role of print/digital media, and German-American relations together with our hosts. Finally, we concluded the event enjoying some snacks, wine, and lots of great conversations with our alumni community from several different GAC generations.